Just spreading the word about my favorite bookstore here in Manila. OMF Literature recently started R.O.B. Us! 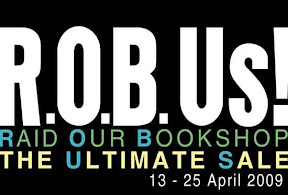 Raid Our Bookshop The Ultimate Sale. It takes place from April 13 until the 25th. Bulk buying is encouraged! A great jump start for holiday shopping. I bought 2 books that I am excited to read in the next few days. You can also shop online at OMFLit.com. For Cebu and Davao residents, just in case you didn't know, there are OMF branches in your cities. Thank you for blogging about OMF Lit's R.O.B. Sale! 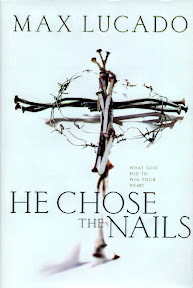 Lucado's He Chose the Nails was one of the first books I bought when i started working at OMF Lit several years ago. 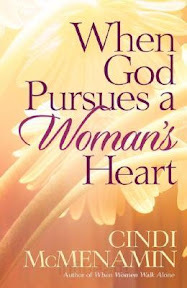 May the Father continue to draw you to Himself as you encounter His truth in great books!